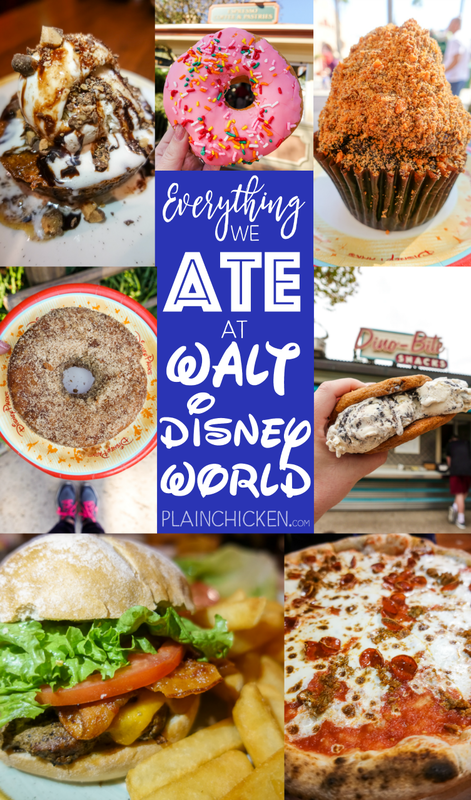 Everything We Ate at Walt Disney World - all the best places in Walt Disney World to eat in all the parks. Save this list for later! 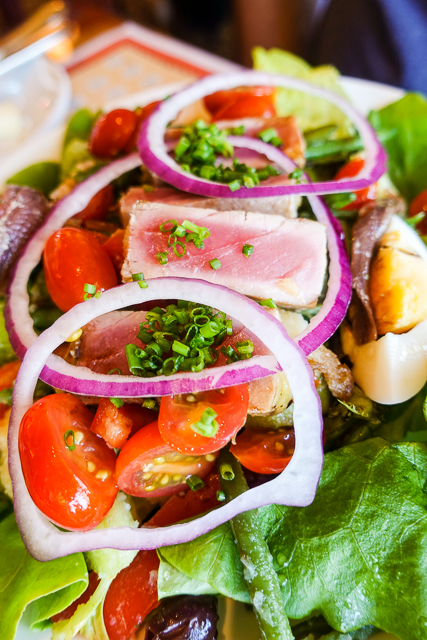 One of our favorite things to do at Disney World is to EAT! We are really good at it! LOL! 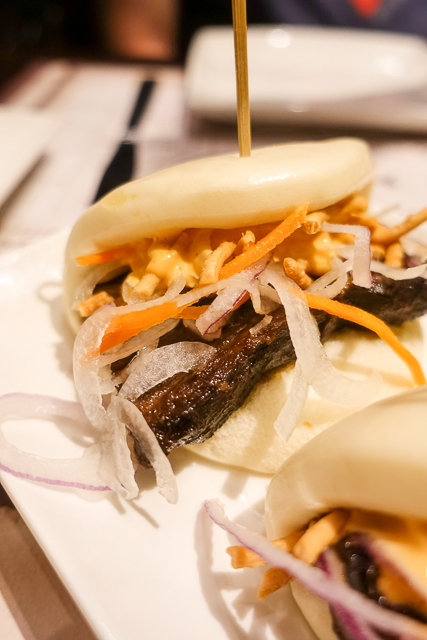 On our most recent trip, we mostly ate at our favorite places. Pizza, burgers, chicken, steamed buns, and DESSERTS! I need to get back down to Disney World ASAP! This post made me super hungry for all my favorites! 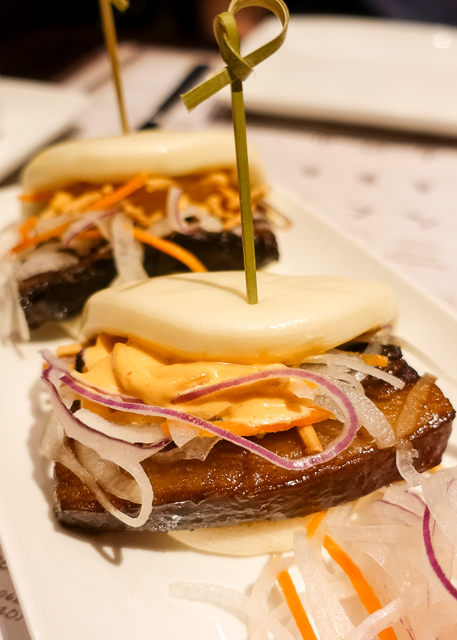 I LOVE the Steamed Pork Buns at Nine Dragons. We got one order and split them. I wish I had gotten my own! I just absolutely LOVE them. Chicken Legs ordered off them menu. 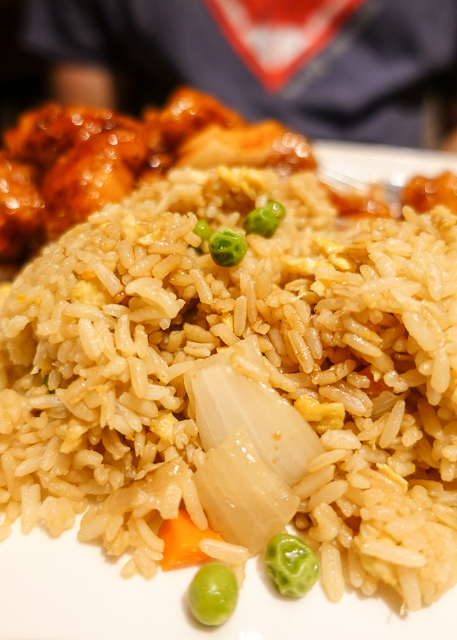 He got the General Tso Chicken and it was delicious. 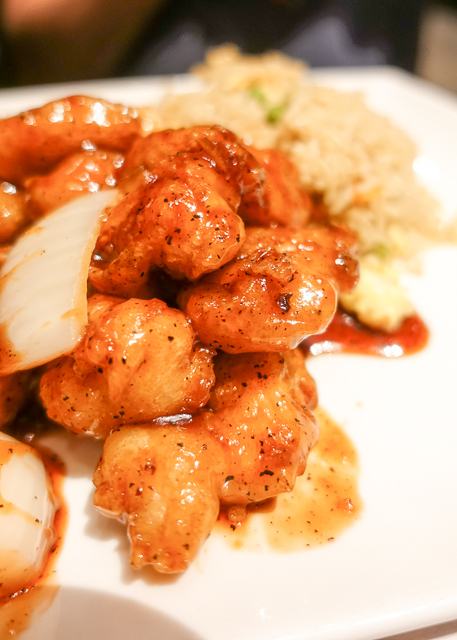 This was the first time either of us had tried General Tso Chicken and we loved it! Chicken Legs upgraded to the Fried Rice. 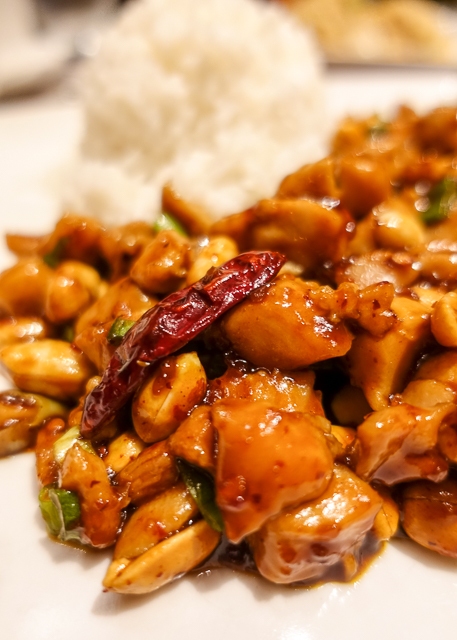 I love spicy food, so I always get Kung Pao Chicken at Chinese restaurants. This was some of the best I've eaten. Can't wait to come back to Nine Dragon's on our next trip!!! Via Napoli is one of my absolute favorite places to eat at Disney. We eat here at least once on every trip. This year we checked out the new pizza window for dinner one night. 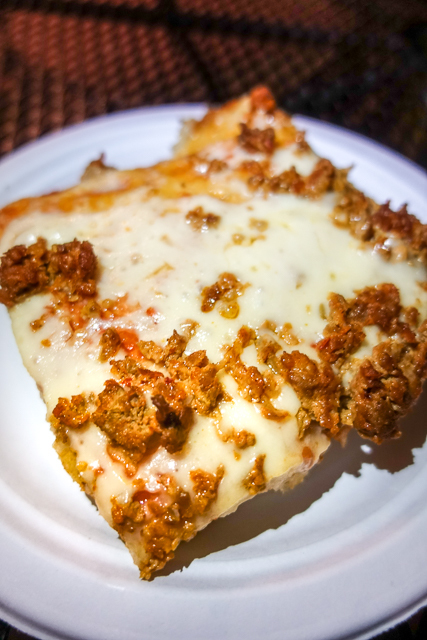 It is different from the pizza in the restaurant. 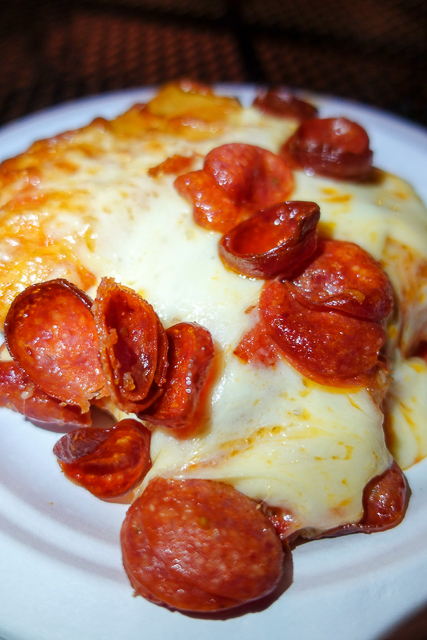 It has a thicker crust and is square. We both really liked it. I wanted to go back for a second slice, but we had to save room for dessert later. We went back for dinner in the restaurant. 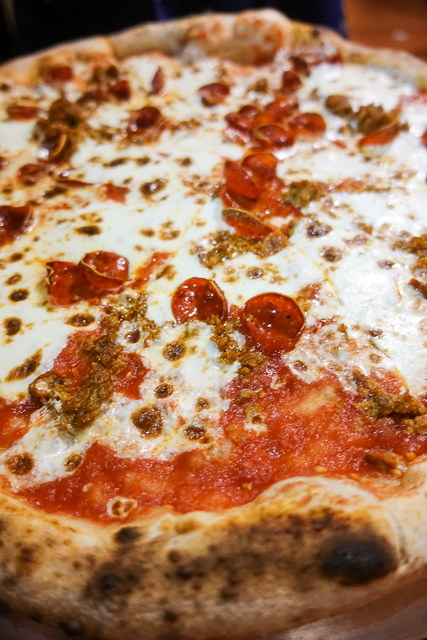 The pizza at Via Napoli is second to none. 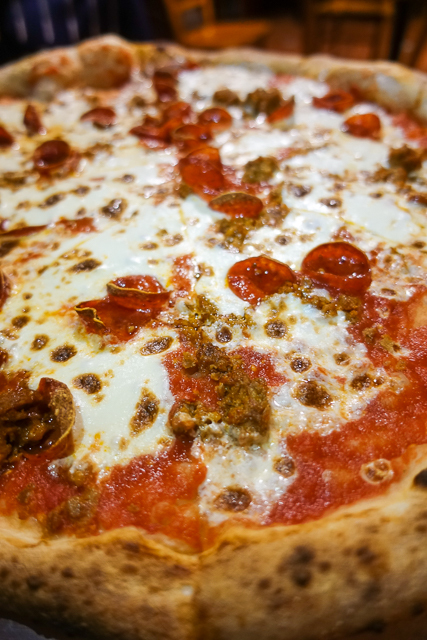 The crust is cooked perfectly. Slightly thin and crispy with a nice chew to it. I LOVE the fresh mozzarella. I always eat way too much. Liberty Tree Tavern is another must on all our Disney trips. 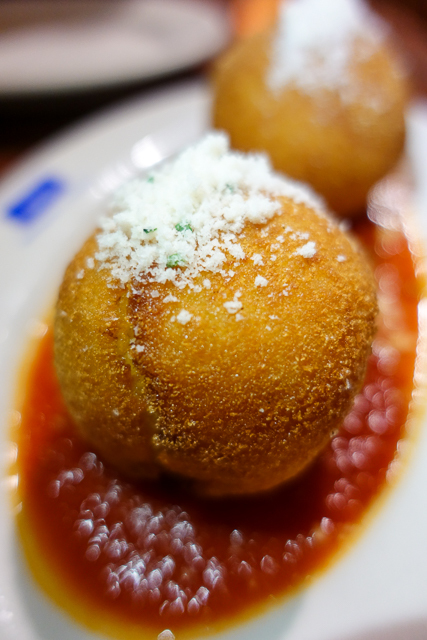 The menu changes slightly every time, but our favorites are always there. 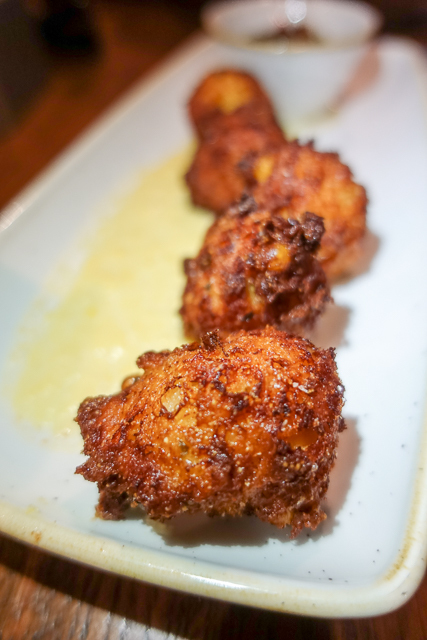 This time we started with some corn fritters. Next up was the burger. 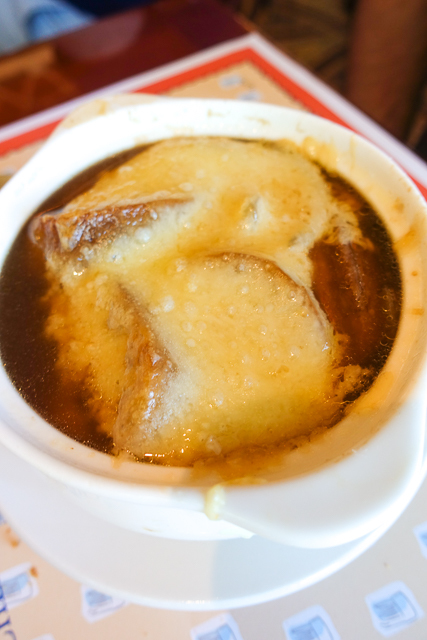 It is our favorite in all of Disney World. It is cooked perfectly. It isn't dry. The fries are delicious. We get it every trip. We branched out and tried a new dessert on this trip. 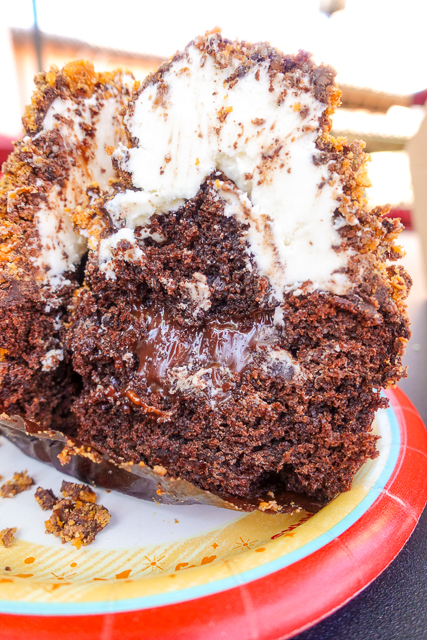 Of course we HAD to get the Gooey Toffee Cake. 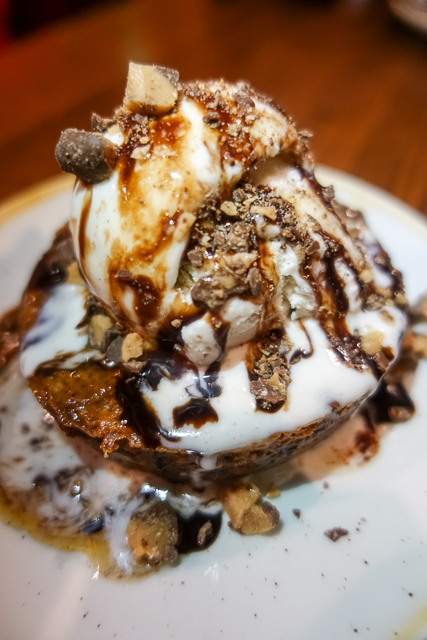 It is one of the best desserts I've ever eaten. We didn't leave a single bite of this one! 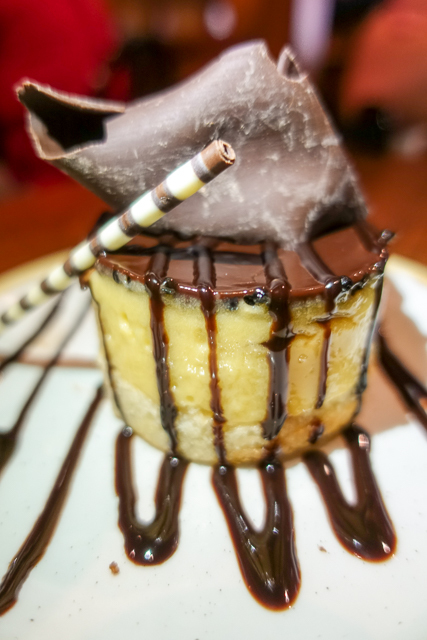 It is hard for us to pass up Restaurantosaurus when we are at Animal Kingdom. 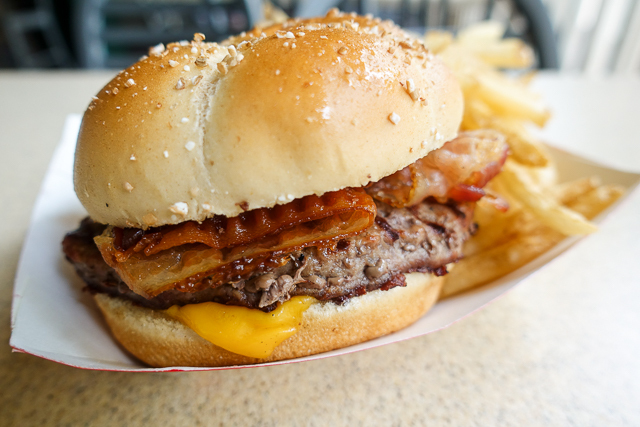 The burgers are good and we LOVE the fries. They are the skinnier fries! I got the Grilled Chicken BLT Sandwich. Make note - you can get free drink refills at Restaurantosaurus. The drinks are self serve - that is GREAT!!!!! 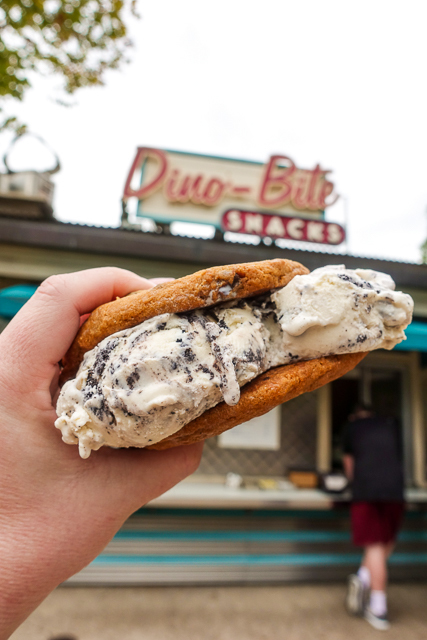 No trip to Animal Kingdom is complete without getting a hand-scooped ice cream sandwich from Dino-Bite. Dino-Bite is located right next to Restaurantosaurus. 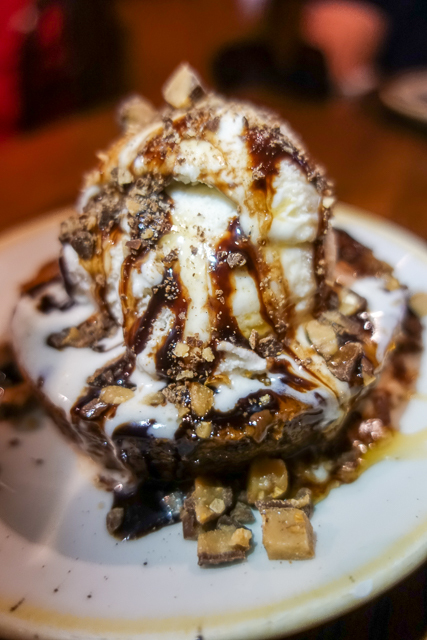 Save room for this dessert! 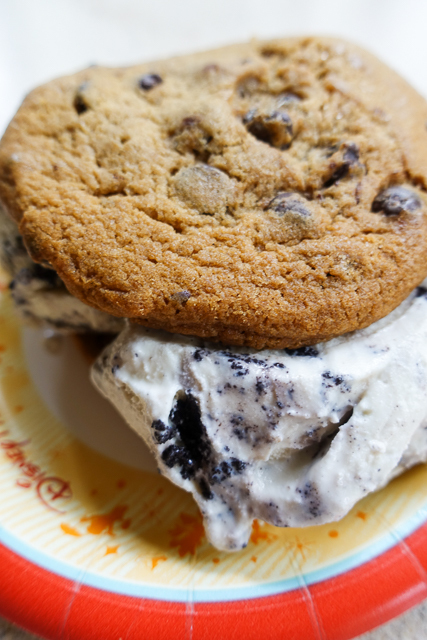 They sell hand-scooped ice cream sandwiches at other places in WDW, but we think the Dino-Bite version is the best one! 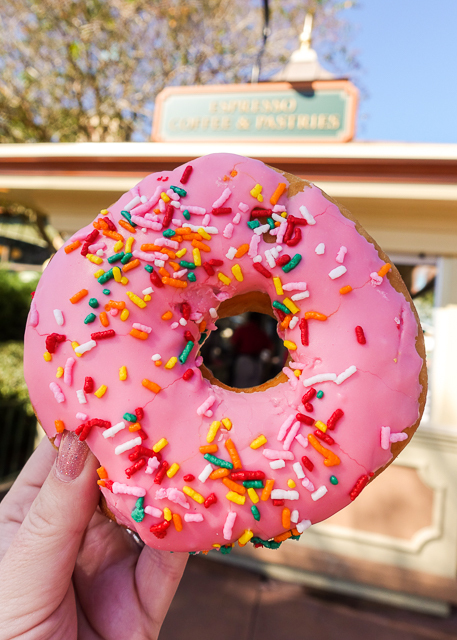 We can never resist the giant donuts! We split it, although Chicken Legs would prefer to have his very own. Chicken Legs loves eating in France at Epcot. The menu at Chefs de France changes. This time Chicken Legs got the Ahi Tuna salad. Not my thing, but he LOVED it. 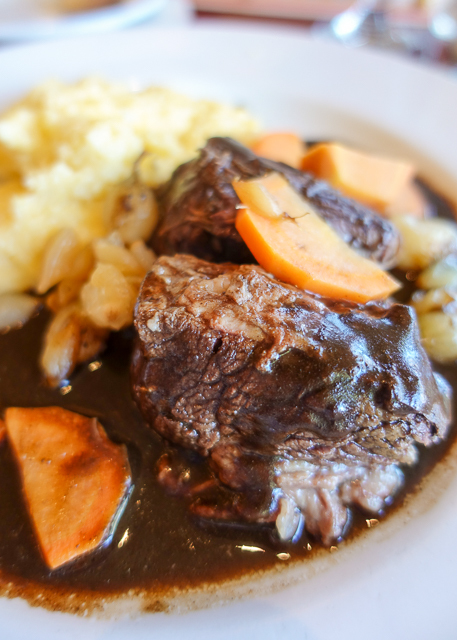 I tried the Beef bourguignon - some of the best "pot roast" you'll ever eat!! 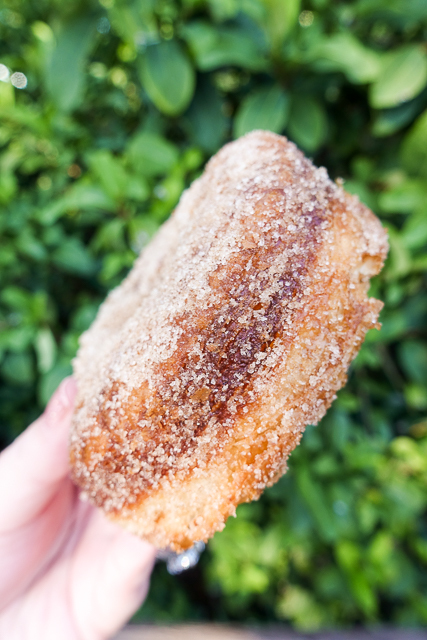 When you get to Epcot, RUN don't walk to the Refreshment Port and get a few cronuts. They are the MOST amazing treat EVER! I want to eat this every single day of my life! We spend A LOT of time at the Rose & Crown in England. 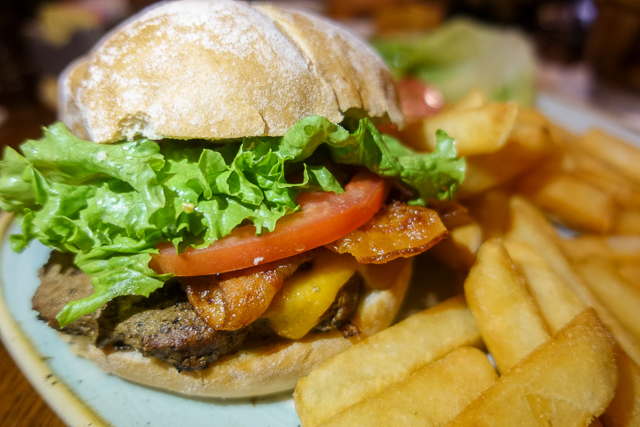 We always snag a quick meal on one night at the bar. 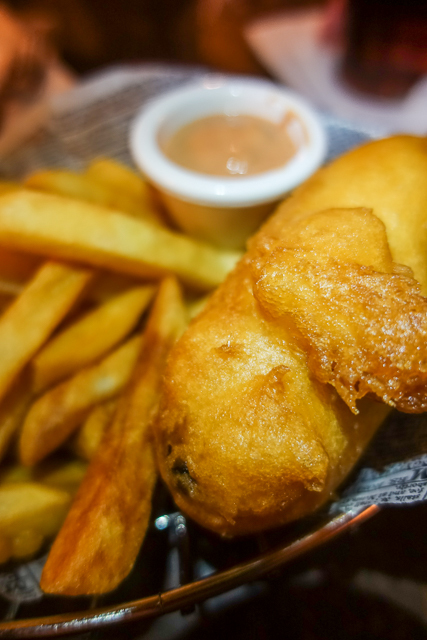 We LOVE the Fried Banger - it is a sausage battered in the fish batter and fried. We usually split the banger and then go get Cronuts!!! Starring Rolls has the most amazing cupcakes! 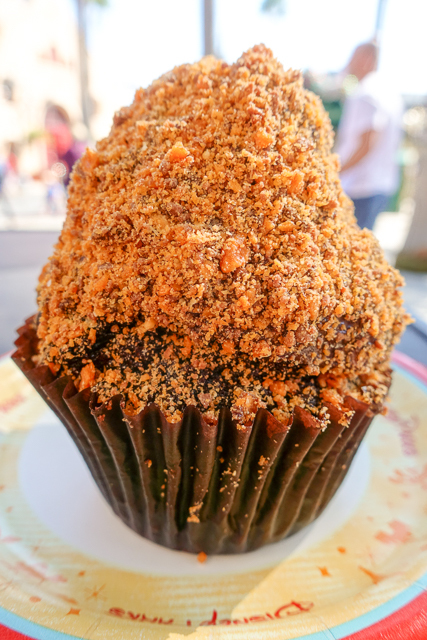 We've tried several and always come back to the Butterfinger Cupcake. It is GIGANTIC and so rich! We ate half of it and took the other half home for later!!! OMG! 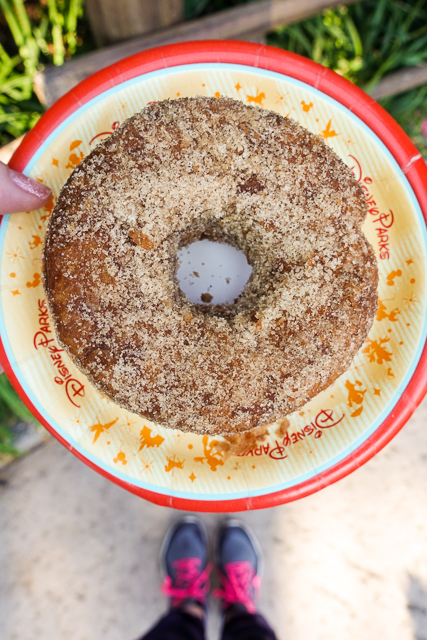 After sharing all of our favorite Disney food, I am dying to go back! 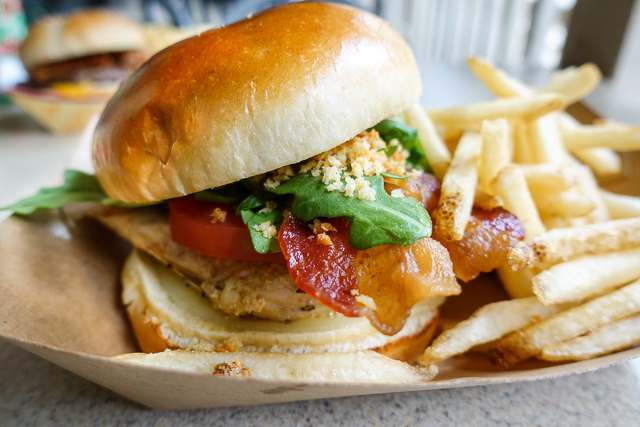 What are your favorite places to eat at Walt Disney World? We need some new places to try on our next trip!! I have added several of these suggestions to my must eat list. Leaving Friday for a week at Disney. I had a cronut a few weeks ago and it was so good, but it was cold! I was so surprised! It would be DELICIOUS warm. Now that I know, I think I'll ask for a warm one next time (I'm assuming mine sat for a while). We love Liberty Tree Tavern as well!